Jean Bellette is recognised as one of Australia’s most significant classical modernists, best known for her mythically-inspired compositions of figure and landscape. Born in Hobart, she studied there and at the Julian Ashton school in Sydney, before travels and further study in Paris and London, rising to prominence as a painter during the 1940s and ‘50s in a Sydney circle of artists that included her husband, critic and fellow artist Paul Haefliger, David Strachan, Donald Friend, Russell Drysdale and Margaret Olley among others. She returned to Europe in the late 1950s, settling in Majorca and continued her career as an expatriate artist. 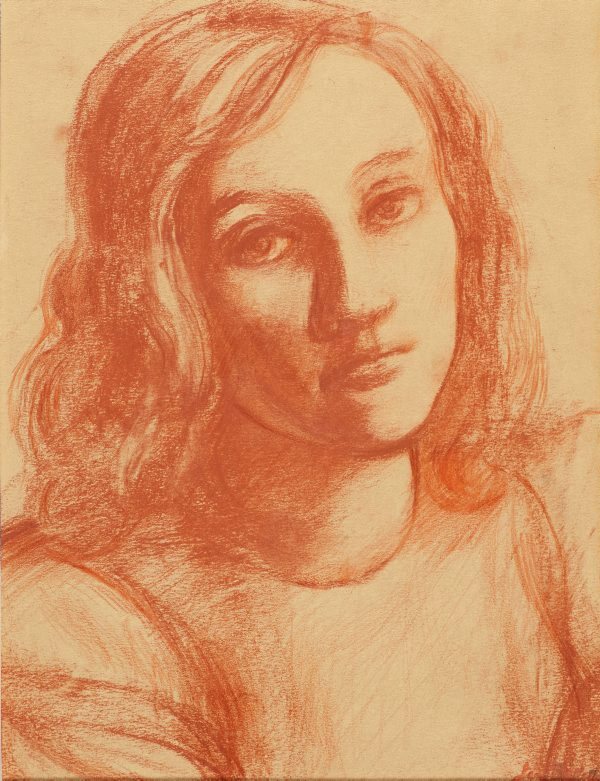 This red conté drawing of a young girl is a fine example of Bellette’s skill in drawing; whilst conveying a strong grasp of underlying form, it is also a characteristically sensitive evocation of personality and mood - as Ursula Hoff stated of Bellette in her 1952 'Meanjin' article on the artist, she ‘instils her classic form with a decidedly poetic and romantic feeling’. signed l.r. corner, red conté "Jean Bellette". Jean Bellette retrospective , Sydney, 2004, 72. Included in exhibition 'list of works' as 'Untitled' (1952), private collection.